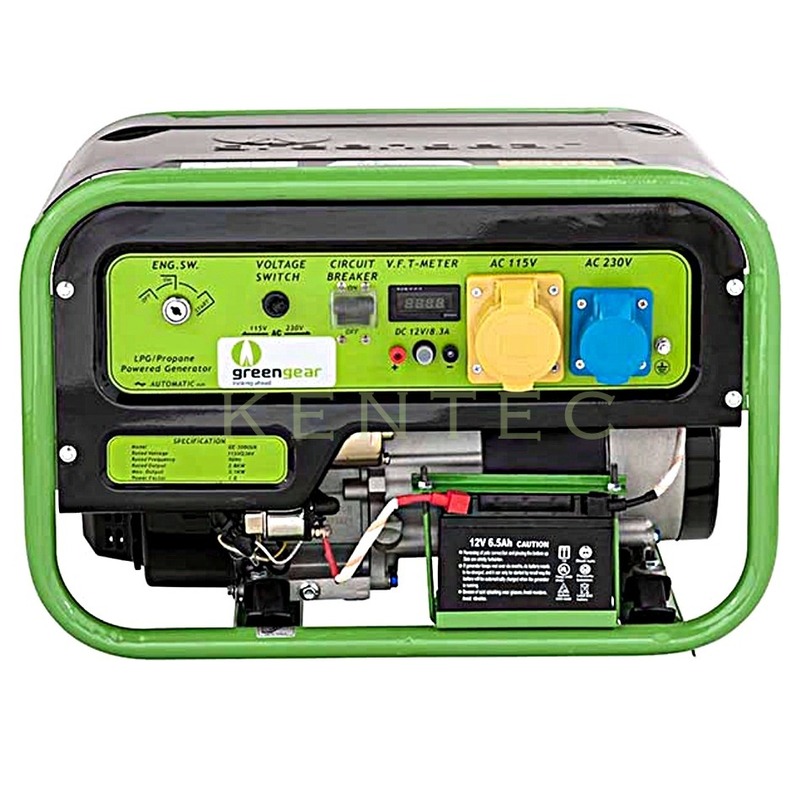 Greengear generators are LPG powered only and are ideal for environments where petrol & duel fuel generators cannot be used, they are also idealy suited for use in mobile catering and leisure activities. Being much quieter than petrol equivalents they also emit lower emissions than petrol including CO2, NOx & SOx making them very ecological in comparison. They are also significantly quieter than there petrol stablemates, another distinct advantage. Multifunction Display - The multifunction display screen allows you to verify the generator’s working functions at all times. Using the button, you can switch between checking the Voltage, Frequency and Hours of use. 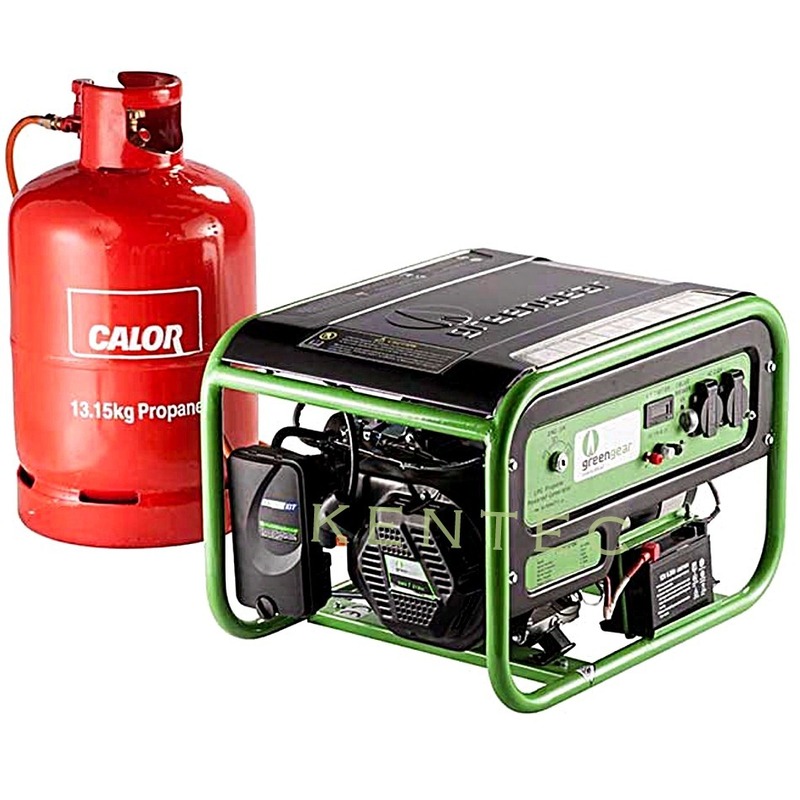 Gas Connection - Connecting the gas cylinder is easy, thanks to the dedicated connector located at the rear of the generator. 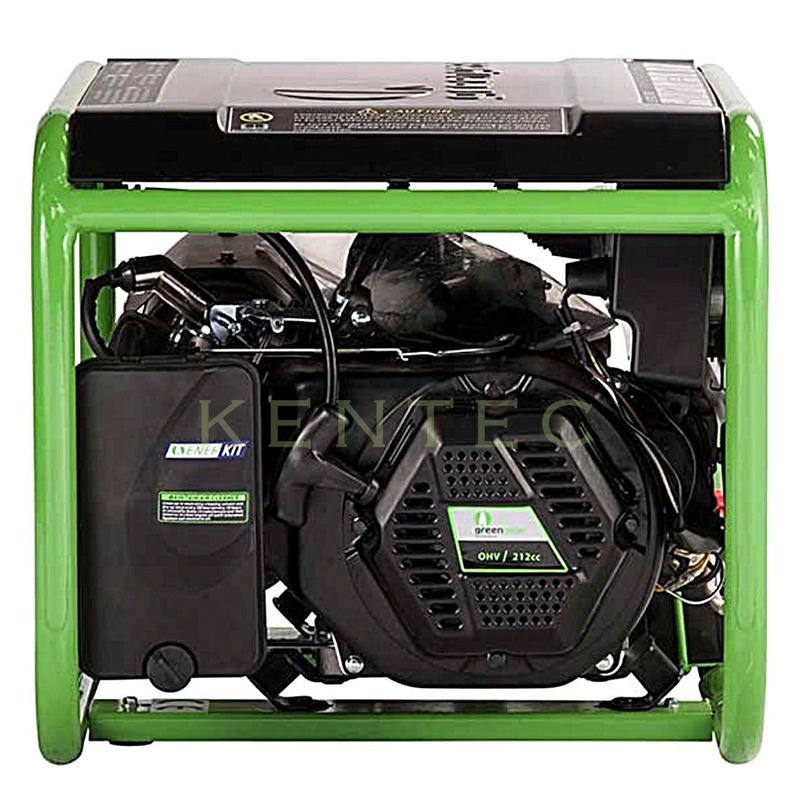 Enerkit - Each Generator is equipped with a unique LPG dedicated ENERKIT carburettor, allowing optimum performance. ENERKIT has an automatic safety shut off valve, stopping the fuel supply when the engine is off. Recoil - Start If the battery is recharging, recoil start is available as a backup source to start the generator. Voltage Switch - The voltage selection switch allows you to change between 115V and 230V depending on the need. Warranty: 1000hrs or 2 years, which ever comes first, please see our terms and conditions.